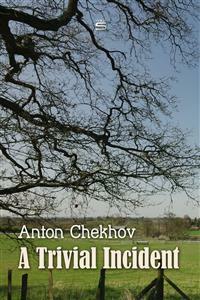 Checkhov says truth and falsehood both play an important role in personal happiness of men. Could this also be the cause of both passionate romance and failed relationship between an impoverished Russian prince and a rich landowner? This story examines the very essence of human psychology providing valuable insight into complexities of such concepts as happiness, deception, romance and depression. It was a sunny August midday as, in company with a Russian prince who had come down in the world, I drove into the immense so-called Shabelsky pine-forest where we were intending to look for woodcocks. In virtue of the part he plays in this story my poor prince deserves a detailed description. He was a tall, dark man, still youngish, though already somewhat battered by life; with long moustaches like a police captain’s; with prominent black eyes, and with the manners of a retired army man. He was a man of Oriental type, not very intelligent, but straightforward and honest, not a bully, not a fop, and not a rake—virtues which, in the eyes of the general public, are equivalent to a certificate of being a nonentity and a poor creature. People generally did not like him (he was never spoken of in the district, except as “the illustrious duffer”). I personally found the poor prince extremely nice with his misfortunes and failures, which made up indeed his whole life. First of all he was poor. He did not play cards, did not drink, had no occupation, did not poke his nose into anything, and maintained a perpetual silence but yet he had somehow succeeded in getting through thirty to forty thousand roubles left him at his father’s death. God only knows what had become of the money. All that I can say is that owing to lack of supervision a great deal was stolen by stewards, bailiffs, and even footmen; a great deal went on lending money, giving bail, and standing security. There were few landowners in the district who did not owe him money. He gave to all who asked, and not so much from good nature or confidence in people as from exaggerated gentlemanliness as though he would say: “Take it and feel how comme il faut I am!” By the time I made his acquaintance he had got into debt himself, had learned what it was like to have a second mortgage on his land, and had sunk so deeply into difficulties that there was no chance of his ever getting out of them again. There were days when he had no dinner, and went about with an empty cigar-holder, but he was always seen clean and fashionably dressed, and always smelt strongly of ylang-ylang. The prince’s second misfortune was his absolute solitariness. He was not married, he had no friends nor relations. His silent and reserved character and his comme il faut deportment, which became the more conspicuous the more anxious he was to conceal his poverty, prevented him from becoming intimate with people. For love affairs he was too heavy, spiritless, and cold, and so rarely got on with women. . . .